This is the neatest thing I’ve seen on the Internet all week. It’s a lamp…that’s a jellyfish. More jellyfish pendant lamps (at Offbeat Home). That’s all for this week. See you back here on Monday! Weekend Link: The Whos in Whoville = Aliens? I was shocked to hear the terrible news of the Connecticut school shootings today. My thoughts go out to all the families affected. In light of these events, I leave you with the happiest link I saw this week, in the hopes it will help restore your faith in humanity. In Washington, gay and lesbian couples are now allowed to marry, and a lot of them went down to City Hall as soon as they possibly could. Here’s a set of emotional photos from that day. If you’re skeptical about the value of gay marriage, I challenge you to click through and look at the faces. I love good photography (looking at it, not taking it), especially when it conveys a mood or suggests a story. French photographer Aurélien Villette does both. Here is a blog post showcasing some of his work on abandoned buildings. What amazes me about it is the sheer size and/or former opulence of some of the buildings he’s captured. I mean, how can these buildings be abandoned? Doesn’t anybody notice them? Doesn’t anybody need the real estate? What about preserving their history? Who used to live or work there, and when and why did they leave? His photos are wonderfully evocative, sometimes wistful, sometimes post-apocalyptic. If you love old buildings, seriously, go have a look. Happy Friday…and a belated Happy Thanksgiving to the Americans in the crowd! Here’s your awesome thing (okay, it’s not actually a link) for the week: a Hobbit fan has taken all the trailers and cut the footage together in chronological order. I can’t wait to see the rest of this movie. Can you? And…that song the dwarves sing? It was my favourite poem in the book. I can’t believe that Peter Jackson and company somehow made it even more amazing. Did I mention I can’t wait? That’s it for the weekend. See you back here on Monday! Friday Link: Habitable Planet Discovered At Last? As a huge Star Trek fan, I got really excited when astronomers first started discovering planets outside our solar system. Then more and more planets were identified, and none of them were hospitable to (Earth) life, and we didn’t find any aliens, and the whole thing got kind of boring even for a space geek like me. Here’s a reminder that finding new planets is still something worth celebrating. The latest in a long string of recent exoplanet discoveries could be the most exciting one yet: A planet called HD 40307g, roughly 44 light years away, appears to be the most likely candidate to harbor life of any exoplanet we’ve discovered to date. Larger than Earth, but smaller than a gas giant, the planet seems to be in the “goldilocks” zone of its star system, the region with the right balance of heat and cold to potentially allow for liquid water. 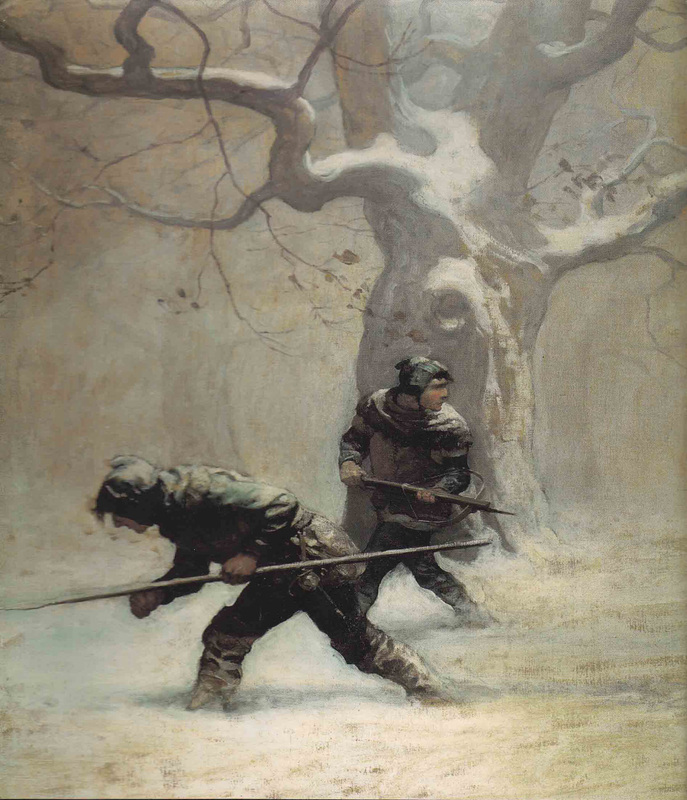 This piece by N.C. Wyeth is part of a Tor.com round-up of fantasy art featuring archers. Lots of beautiful and thought-provoking artwork there — go see the rest! And that’s all for now. See you back here on Monday.